Kleinfeld is a world-renowned destination for all things bridal. People fly in from all over the world to purchase a wedding gown from this glamorous shop located in the Chelsea neighborhood of New York City. Established in Brooklyn in 1941, Hedda Kleinfeld and Jack Schacter began by selling evening gowns and fur pieces, later switching the focus to wedding dresses only. The original owners sold the shop in 1999 to Mara Urshel, Ronnie Rothstein and Wayne Rogers, who immediately began renovating Kleinfeld. A whopping 35,000 square feet was purchased in 2004 for the new location in Chelsea, according to the history provided by Kleinfeld. Two short years later, the TLC show “Say Yes to the Dress” began airing to audiences. 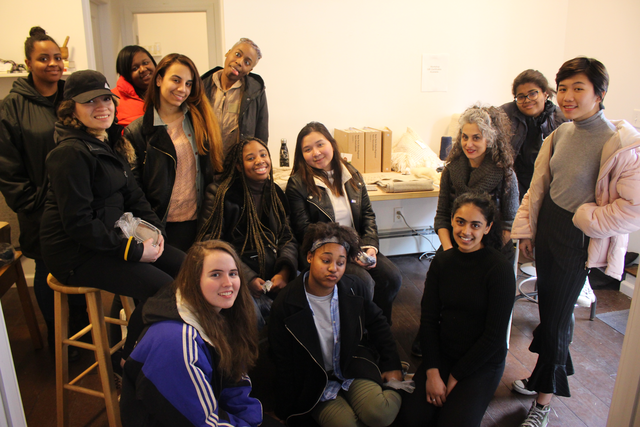 The morning of October 24, 2018 was full of excitement for our Introduction to the Fashion Business course. 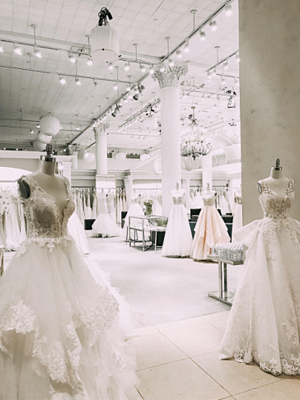 On a tour of Kleinfeld Bridal boutique, Kenssy Quezada, manager of stock, led LIM students to see the stockroom, accessories room, showroom and fitting rooms. In addition to answering our questions, Quezada shared his favorite part of the job as “when the girls cry” because he and his team of eight enjoy seeing genuine emotion and authenticity that brides feel upon trying on the perfect gown. Kleinfeld Bridal displays numerous dresses on mannequins, in addition to effectively showcasing all different stages of the bridal process. For example, the showroom is separate from the accessories room, which is separate from the fitting rooms and also separate from the stockroom. 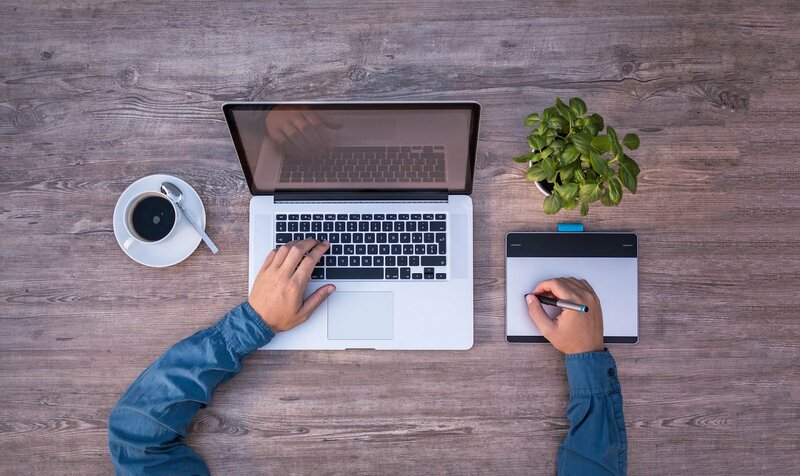 The color scheme is clean, and the consumer benefits from being able to easily navigate the massive store. From a distance, the gowns can appear extremely similar, most likely due to the similar color scheme. Most of the gowns are white or ivory, but a closer look shows that the immense details really set each one apart from another. There are gowns drenched in beads, while others are smothered in intricate lace. Some have the classic princess cut and others have an off-the-shoulder neckline. Most of the dresses are floor length, yet a few allow the bride to show off some leg. Regardless of the design, Kleinfeld allows the customer to notice the dainty details and overarching silhouette, which eases the dress-selection process for the bride. 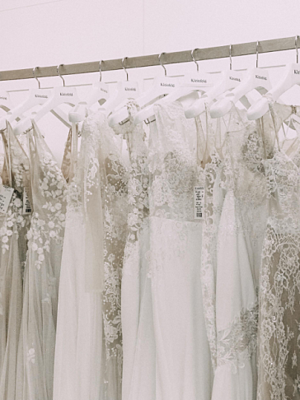 Even though bridal wear is not on people’s mind on a daily basis, it is an enormous industry in the US with about 6,500 stores nationwide and it has a positive revenue outlook according to IBIS World market research. Kleinfeld offers a strong presence in the wedding industry for brides. Personally, the bridal industry seems too full of glitz and glam for my taste; however, this trip exceeded my expectations. The layout and size of the store was mind blowing, the gowns were effortlessly lovely, and the atmosphere was friendly and exceptionally pleasant. Who knows? Maybe one day I will find myself saying “yes” to a dress at Kleinfeld Bridal.